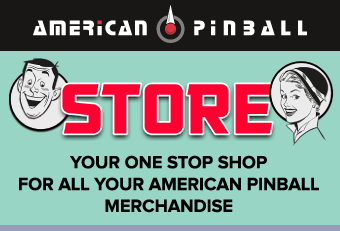 American Pinball today officially announced the new "Oktoberfest" pinball machine at Chicago’s Pinball Expo. Joe Balcer, a member of the design team, along with staff, introduced some of the exciting features and inspiration behind the latest game. 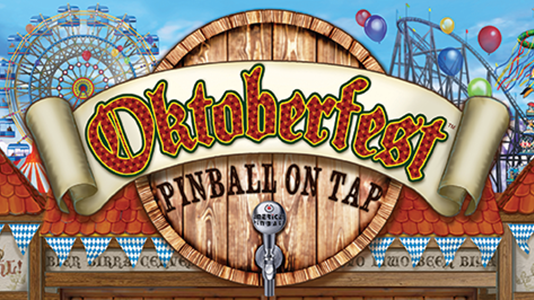 The new Oktoberfest game will allow players to experience the world famous Oktoberfest, year round, with Pinball on Tap! Players travel around the festival, visiting over a dozen tents and collecting steins for each while enjoying fantastic music, food, and drink, to round out the ultimate Oktoberfest adventure. Unique gameplay features include multiple wireform ramps and the awesome Corkscrew Rollercoaster with twin loops and a zig zag, Shack & Beer Barrel with 3-ball lock mechanisms, and Otto the Bartender, an interactive target and ball lock assembly. Players will advance through gameplay with the help of three flippers, three bumper car pop bumpers, three slingshots, a ramp that raises and lowers, and four magnets, two of which are player-controlled with a MagNab cabinet button. Rule features include 5 multiballs, including the Beer Barrel Multiball and Corkscrew Multiball, 14 tent modes, including a video mode and a mini-wizard mode, beer stein power ups to assist players towards objectives and increase scoring, a food stand scoring accelerator with two special modes, three mini-wizard modes, and an Uber-Wizard mode. Plus, lots of ducks! Complementing the exciting gameplay experience and immersive theme, cabinet features include real backglass, custom music, a 15" full color LCD with 1366x768 resolution, 6 powerful stereo speakers, plus an 8" cabinet subwoofer. Oktoberfest pinball machines will be available through authorized American Pinball distributors and dealers around the world. Stay tuned for more information on pricing and availability.